This almost looks like one image that was mirrored in half. 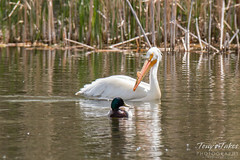 In is however two separate American White #Pelicans that were facing opposite directions and happened to stick their heads under water fishing at the same moment. 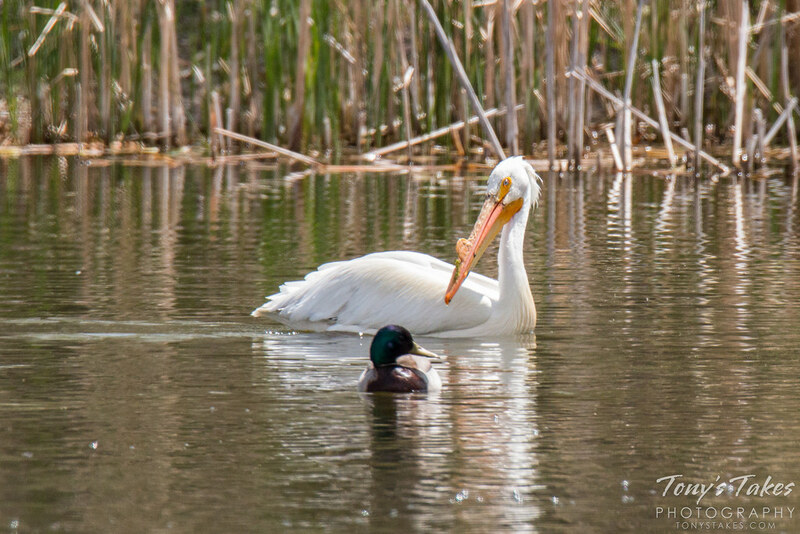 The pair was part of a larger pod of nine that had gathered to fish a small pond in Thornton, Colorado recently. 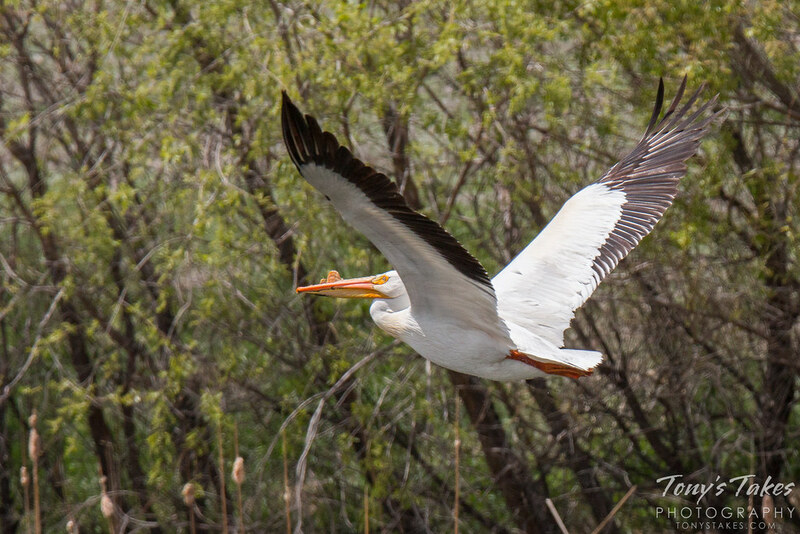 These massive birds are a lot of fun to observe and are extraordinarily graceful when in flight. 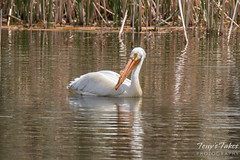 This particular pelican was fishing in a small pond when it decided it was time to try a different location. Taking the picture was a bit difficult as I was shooting in the direction the sun but that direct light also did a nice job of illuminating the water drops coming off the bird. Taken in Longmont, Colorado on May 17, 2015. An American White Pelican displays its fishing technique. These large birds dips their bills, scooping up water in the pouch. They then strain the water with the hopes that there will have caught a fish unaware. 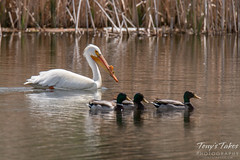 This particular pelican was fishing alone on this day but oftentimes they will do so in groups, lining themselves up and driving fish in front of them. An interesting thing about those pouches is that they also help to cool these massive birds. 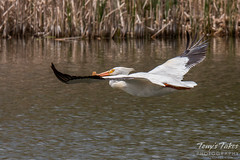 Pelicans can overheat in the sun and will flutter the pouches in the air. All of those blood vessels help to allow heat to escape. Taken in Thornton, Colorado. ? Clear the landing strip. Pelican inbound! 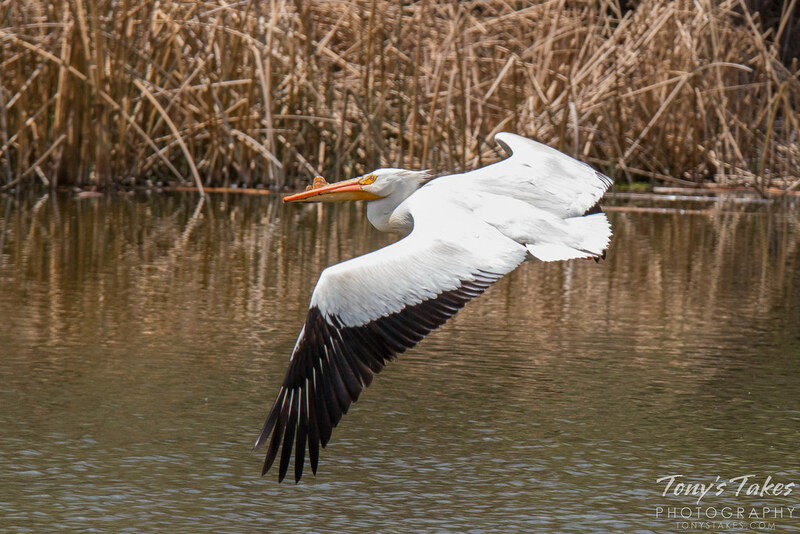 I captured this pic of an American White Pelican on its way to a water landing in a nearby pond last week. My wife is absolutely fascinated with these birds and I really can’t blame her (although I do think raptors are far cooler!). 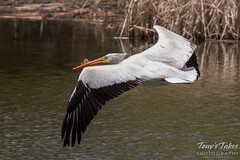 Pelicans have so much character, are absolutely beautiful and despite their massive size, are amazingly graceful in flight. Despite their unwillingness to hold their heads high all at once and pose, these massive birds did provide a great deal of entertainment as they fished in a small pond. This pod worked together, circling the pond while in a cluster, driving the fish and making them easier to catch. 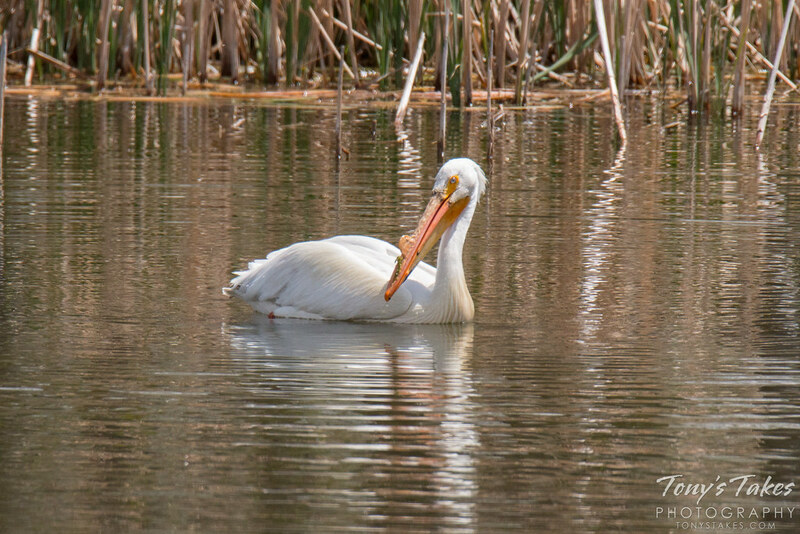 While driving by a local pond I noticed this graceful bird lazily swimming and fishing. Doing my best to be stealthy, I managed to walk around the tree-lined shore and snap some nice pics of it. Not long after, it decided the fishing wasn’t very good at this location and took off for better grounds. I managed a few nice flight shots that showcase the American White Pelican’s massive wingspan which can be as big across as nine feet. 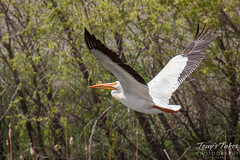 You probably wouldn’t normally associate these birds with Colorado but a great number of them actually spend their summers here in the Centennial State. Who do you think you are little bird? You know spring is almost here when these big birds start arriving and they did just that this past week. 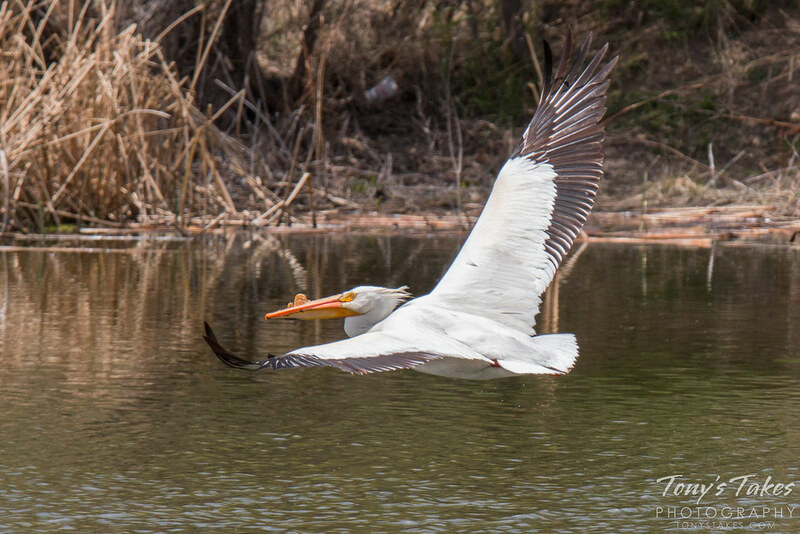 American White Pelicans spend their winters in the southern United States and Mexico. During the summer they head for cooler environs including Colorado. 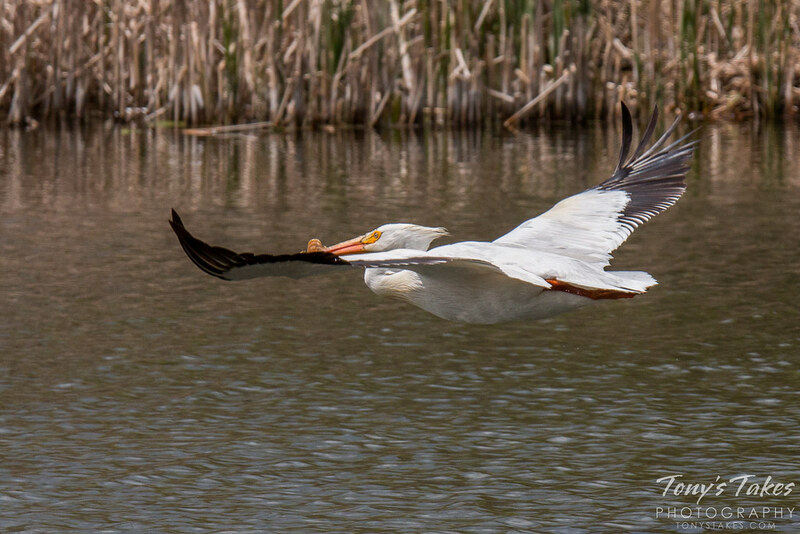 Yesterday there were about a dozen at a lake in suburban Denver, including this one which performed a nice flyby. 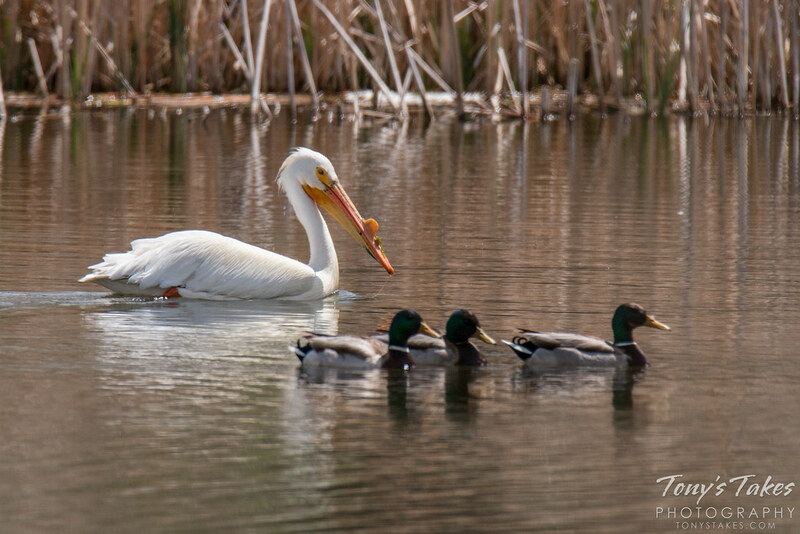 The American white pelicans have returned to the Great Plains for the spring and summer. These large aquatic birds spend their winters in Mexico and Central America.